Your next good deal is right this way! At all times, we offer a range of used vehicles in excellent condition: motorcycles, dirt bikes, ATVs, snowmobiles and much more! Our used vehicles have been closely inspected to make sure they respect the highest quality standards, and are offered at an excellent price. Don’t wait: browse our selection! In order to guide you in the purchase of your next off-road vehicle, our team of seasoned sales consultants is qualified to answer all your questions. Visit us or contact us by email or by phone to get a fast and professional answer. 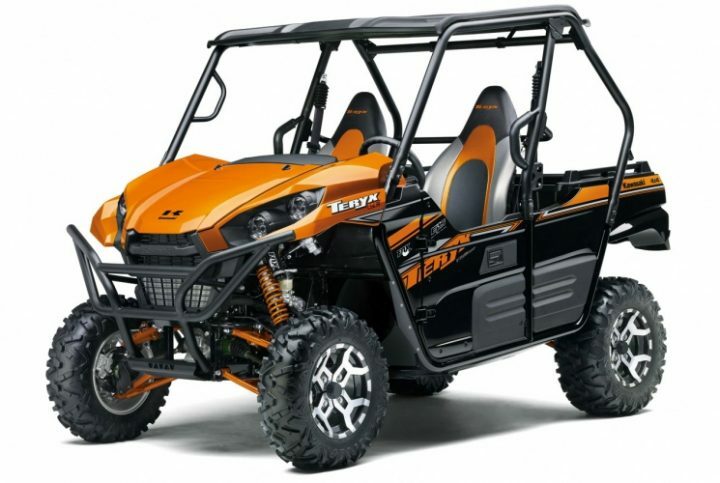 Kawasaki offers a perfect sport and utility side-by-side with the TERYX EPS 2019. Challenge it! Whether it is to tackle the most demanding trails or to help you accomplish your most difficult tasks, it will not disappoint you. It is a robust, efficient and practical vehicle.